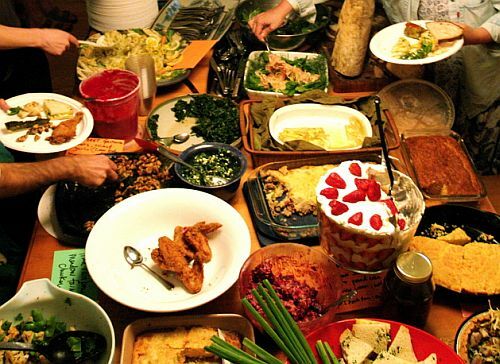 CENTRAL PARK GARDENS TENANTS' ASSOCIATION: What a Pot Luck Party!!! who with grace and competence put the party together, did the entire set-up (with help from Rosa Delgado) and beautiful decorations, and oversaw every detail all evening. Catering isn't their business, but you sure couldn't tell it from the smooth flow of the evening. Thanks to Marie Squerciati and her good friend Oliva who staffed the "welcome" desk, signed everyone in, gave out name tags, collected money, directed people who were bringing food and drink - and brought a hot dish to share as well! And thank to all the tenants who contributed money! Our trusty treasurer, Joan Browne will tally it all up. A great time was had by all (including baby H. who smiled happily throughout the evening, and little Kia who sang out through her missing front teeth). 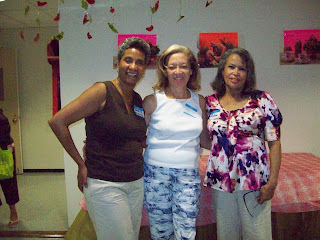 If you have photos of the event, please pass them along, and Sue will post them on the website!